Blues, spoken word, opera, food, wine and good people. 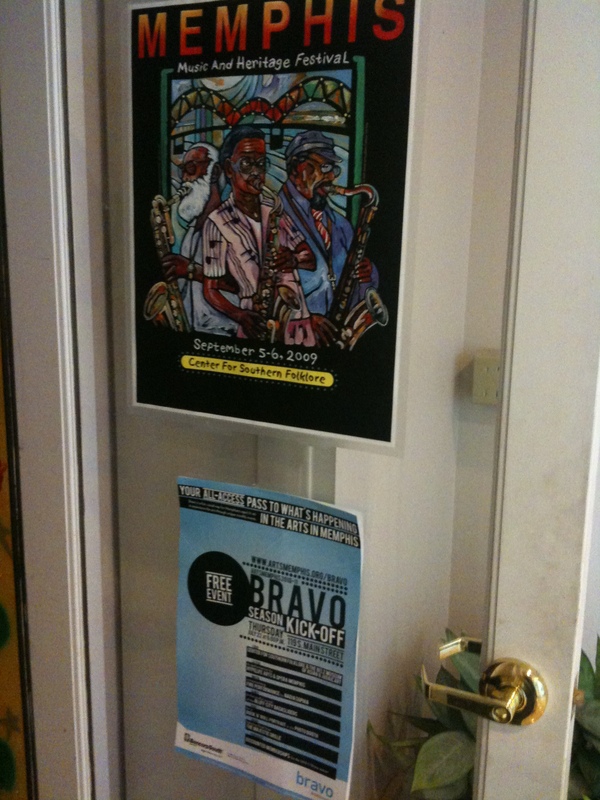 That was last night at the Center for Southern Folklore for the ArtsMemphis Bravo Party. 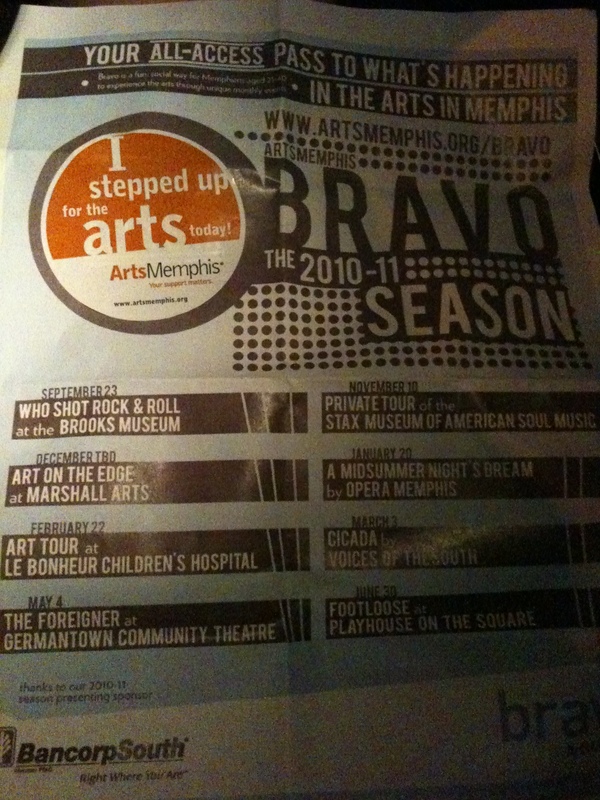 ArtsMemphis Bravo is a group of Memphians aged 21-40 that gather together about 10 times a year to see plays, art exhibits and music. 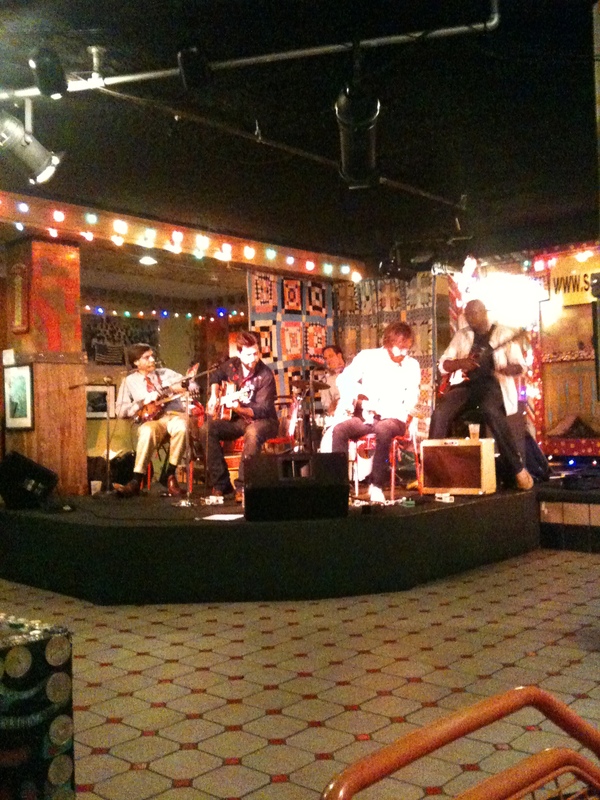 Last night was the 2010-2011 season kickoff party. It was a free event open to everyone, and it was quite a crowd. I decided to buy a membership, so I could take advantage of this great opportunity to meet people and experiene all that Memphis has to offer. Of course I arrived at the party when it started at 6pm. I got my free glass (or cup) of pinot grigio and was on my way. I walked around a bit before deciding to go into the cafe and sit down. I decided to be social, because that is the point of all of this, and asked to sit at a table with these 3 guys. They were very nice to me and introduced me to a couple of their friends who came over. They turned out to be the Bluff City Backsliders. Thanks guys for being so friendly and making me feel not so alone. 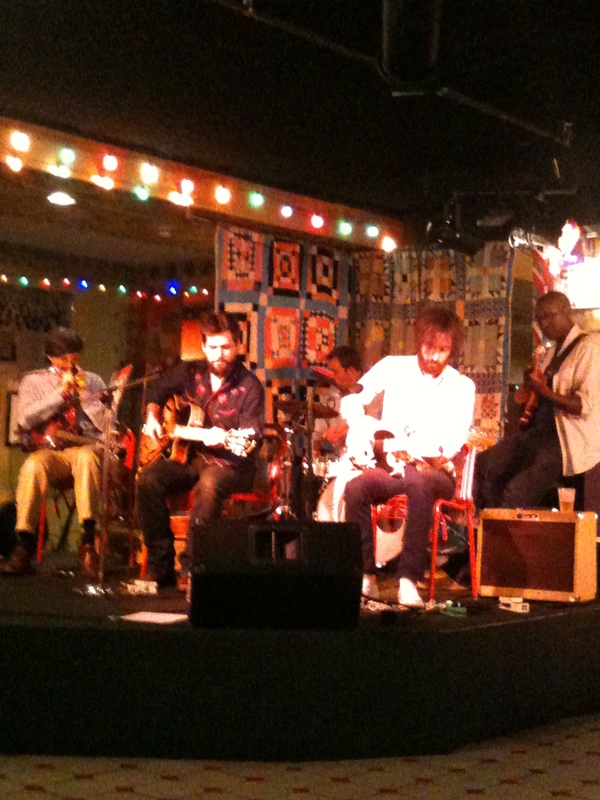 The Bluff City Backsliders were great – old school blues. I really enjoyed their set and will definitely see them again. I also really enjoyed the spoken word performances by Hypelife Arts featuring Phatmak, as well as the Opera Memphis group Reba, who will be in Midsummer Night’s Dream in January. I did not get to see the fire dancer as I decided to leave rather than hang out outside on Main Street. 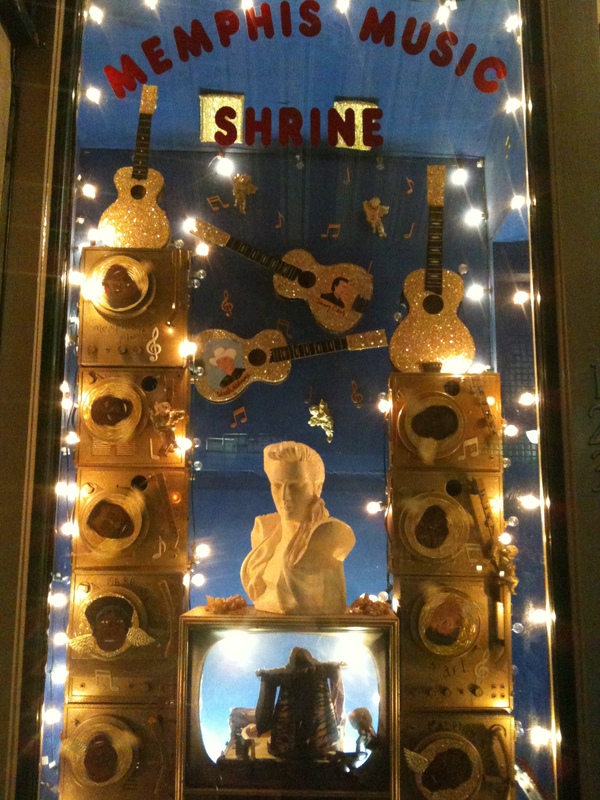 But as I walking to my car, I notice this great diplay in the window of the folklore store.